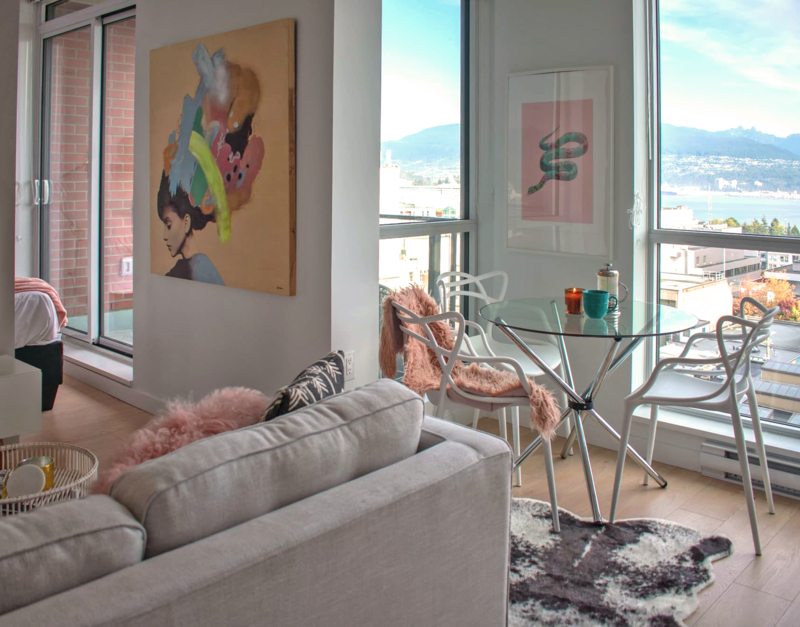 Space saving tips for Vancouver living. Oh, Vancouver. You precious gem of a city. With your vast expanse and broad horizons - from ocean to mountain and city in between - I can't help but love you. That being said, we need to talk. You are breaking my heart and scattering its pieces across my apartment floor. The small footprint is already covered in items I've deemed necessary, I didn't need that making a mess, too. You don't have enough space for me, it seems. I, just like many others, am trapped in a torrid love affair with your boundless outdoors, and your barricading interiors. I'm not ready to call it quits just yet, I'm willing to work on it. So, let's play some John Mayer, and explore the great indoors. The first thing a lot of us do when we feel our space is cluttered is organize, clean, and tidy. Right now, we're Marie Kondo-ing our entire apartments. I'm getting intricate with folding my clothes into the smallest squares possible. While I love all of these steps (yes, I'm that weird person that loves cleaning), I find that for many people, it's not enough to solve the small space issue. When getting a bigger place isn't feasible, we need to make the most of what we have. So, how do we go about maximizing our space? Specifically the hydraulic storage bed. Gone are the days of shoving things under your bed, seeing them peek out (then kicking them back under), and having them constantly covered in dust. Hydraulic bed frames give you that storage you desperately need without having to get an entire other storage system (like a storage locker you're paying monthly for to hide your seasonal clothes). With so much room under there, you can hide away almost anything (insert obligitory dead body joke). The storage is easy as open and close, and with so many styles available for every budget and space, choosing a hydraulic bed frame is an easy choice. 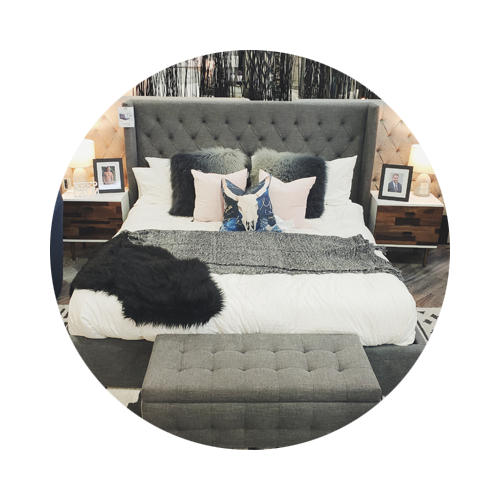 Our Claire storage bed shown with our Carmel nightstands. Your furniture doesn't all need to be pushed against a wall - Create flow in your space by letting the larger pieces breathe. The sofa won't seem so heavy when it's not a part of the wall. In an open concept room, this will truly maximize your space by creating separate areas in the four walls. Rearrange until it feels right - When I was a kid I would rearrange my room until I found the perfect configuration. I still do it to this day, but I've definitely got better at knowing the right placement for me. Rearranging is not only a great way to give your space a refresh (and the deep clean you've been neglecting), but it will help you get an idea of how else the room can be used. Give the new configuration some time to sink it, I know once you change things up it seems very strange at first. So, let's put our differences aside, Vancouver. I can deal with your small apartments. With multi-purpose pieces and a little creativity, any space can be the perfect space. 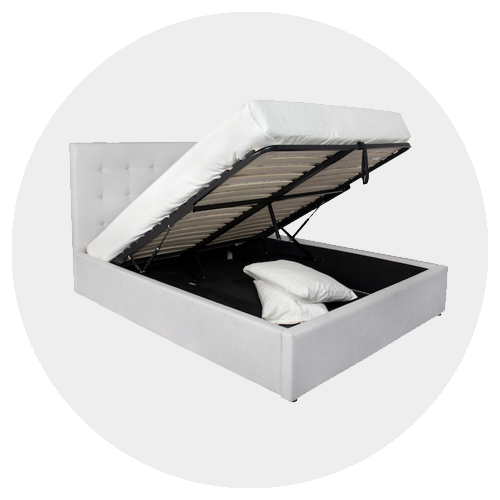 Show this blog post to a sales member to receive a special discount on your purchase of a hydraulic storage bed.